Just got back from Bangkok with my friends and the weather was just unbearably hot! We had quite a fair bit of beer cause of the weather and I had to bring around my shades and cap wherever I go. It was 34 degrees hot, sunnies and cap ain't enough, I had to keep my skin protected- inside out too! Let me share with you how! 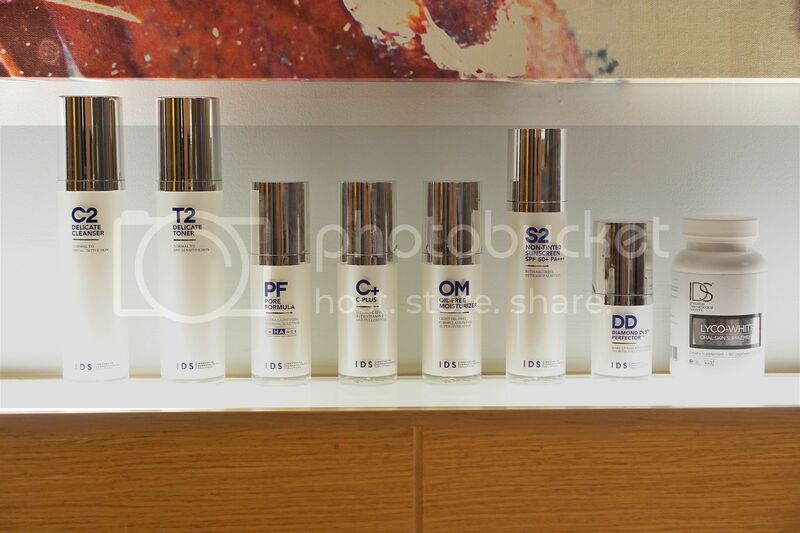 There are 2 toners in the toners range, T1 Refreshing Toner and T2 Delicate Toner which I'm using. This is also the new IDS Skincare packaging! Highly raved about packaging with the most informative product details of the skincare! Especially useful for those who cares about what you apply on your face and the wonders it can do for you. I have got to be very honest, I have not used toners my entire life as religiously as I have for the last 3 months. 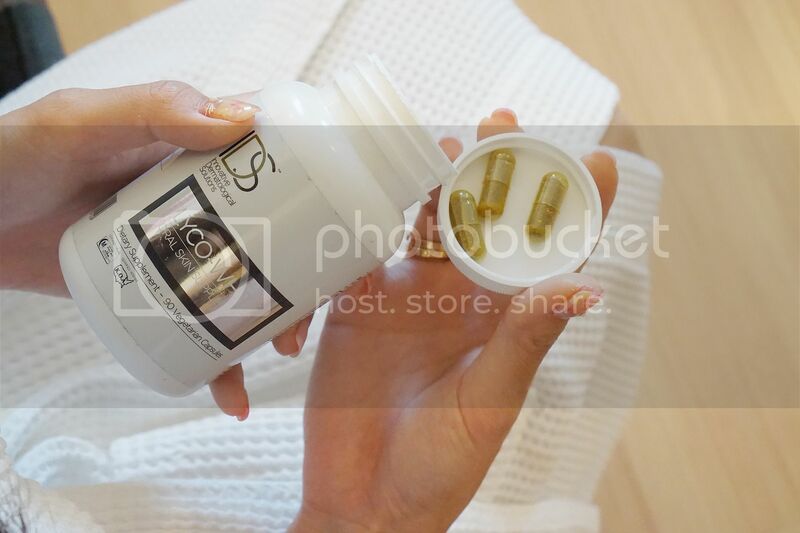 I have always been lazy with my skincare but after visiting IDS Skincare, I learnt to be more hardworking because I am getting older and I can't afford to be lazy anymore! Anyone of you are just like the me 3 months ago? Please start now! Pore Formula is one of the products that I've been using since 2016. This product is ideal for oily and blemish-prone skin, and those susceptible to developing whiteheads and blackheads. I use this only on my forehead and nose! I wouldn't lie to you and say the whiteheads and blackheads have disappeared, they have not, but they have reduced significantly. C-Plus is one of IDS Skincare's award winnings product! It is also one of my favorite product because it does wonders. This age-defense serum is formulated with a potent form of Vitamin C, coupled with Nobel Prize ‘Fullerenes’ and Tocopheryl to exhibit a superior antioxidant action and strong collagen stimulation — Resulting in a ‘wrinkle-off’ effect along with significant skin lightening! I use C-Plus most religiously and generously cause of the potent Vitamin C benefits! Important to apply them around the eye areas too as it can help brighten the eye areas too! An Oil-Free Moisturizer packed with all the good ingredients to regulate sebum, control acne, minimize shine and lighten blemish marks! It is made possible because OM is enriched with Vitamin A derivate that aids in clearing up complexion by speeding up the recovery rate of cells! There!! Done with my 5 skincare steps, and really loving the new classy bottles! But my skincare regime doesn't stop here because I have 3 more steps which I do before my makeup and before I leave the hotel/ home in the morning! Both just as important as the first 5 steps! There are 2 sunscreens in the range and I am using S2 Non-Tinted Sunscreen SPF 50+ PA+++. I used to use S1 Tinted Sunscreen but it was a little too oily for me that gave me some outbreaks around my cheeks. The Dr. gave me S2 to try out instead and to not waste the tinted one, I have been mixing them both together. I like that the sunscreen is lightweight that glides on smoothly to give a powdery matte and oil-free finish. The sunscreen is also formulated withVitamin C for powerful antioxidant and anti-inflammatory action! Sunscreen-ing every day is extremely important to keep the skin protected from the sun. Remember to apply around the hairline too! At my most recent visit to my doctor, she told me that i've been neglecting the hairline, resulting in uneven skin tones. Definitely a product I hold close in my heart because this was my first product from IDS Skincare and it replaced the BB/ CC Creams that I have been using. 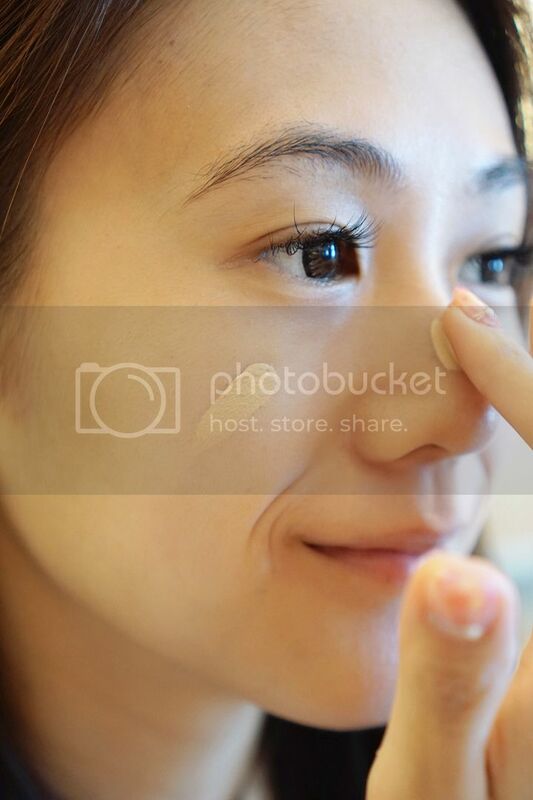 It is like finding the perfect makeup base, so that's true happiness. 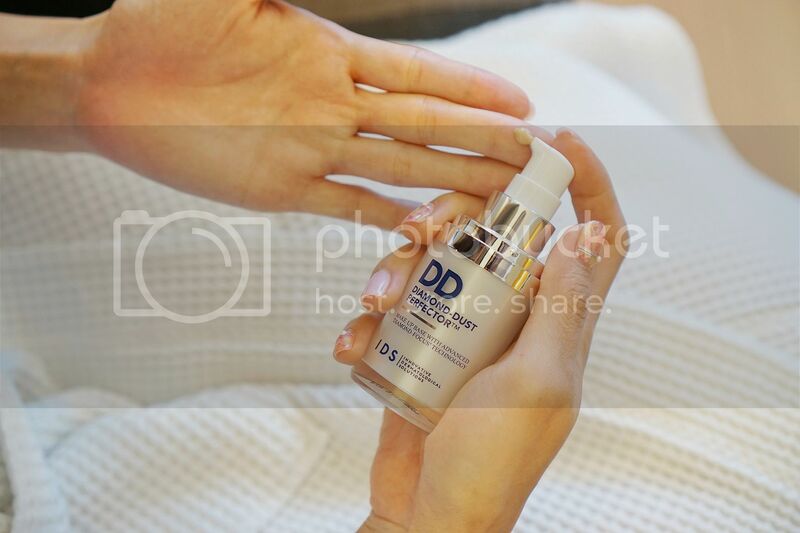 Diamond Dust Perfecter is another of IDS Skincare's award winning product for all it's goodness, lightweight make up base that instantly minimises the appearance of enlarged pores and blemishes, as well as softens the appearance of fine lines and wrinkles, making imperfections less obvious, while providing a naturally smooth appearance under any lighting conditions! I even use Diamond Dust Perfecter as my concealer now! Not forgetting to apply near my hairline too! Diamond Dust Perfecter is more than enough as a foundation, I need not put on another layer of powder. You can see it for yourself! Even before I tried Lyco-White, I have heard a lot of this product and it's wonders. Oral sunblocks work differently for every individual. 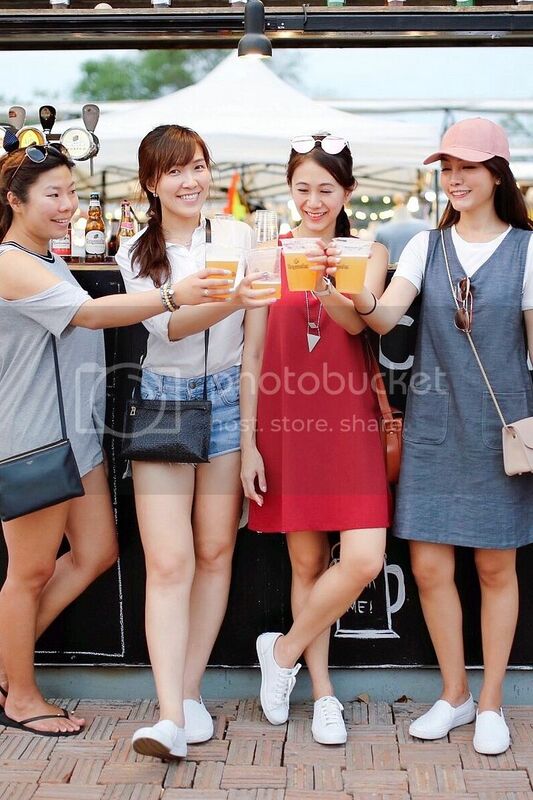 I have friends who became fairer after consuming but I have not. I would say Lyco-White helped me maintain my skin tone even when I am in sunny places like Bangkok. which to me is the most important. Lyco-White is an oral agent that helps to right free radicals leading to significant protection of skin against UV radiation. This product provides all-round health benefits to your body as well. Studies have shown benefits in males, preventing prostate problems. Also shown to help reduce brain and heart problems! Lipstick on and I was ready to take on Bangkok's 34 degrees weather! Thank you, IDS Skincare for taking care of my skin and body too!